The music albums are displayed and sorted descending based on the publish date. If you want to change the display order of the albums, you just have to adjust the publish date accordingly. This can be done from the Album page, from the Publish section. 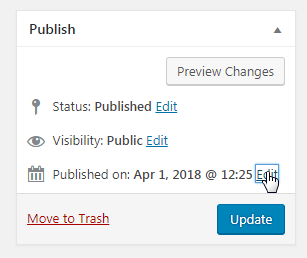 You will have to click on the Edit button. 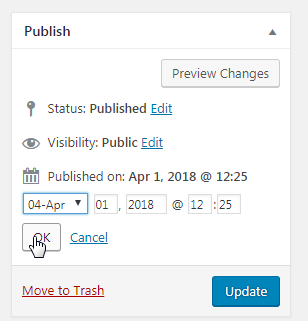 After this you can change the publish date. Then click Ok and Update. Hi, please open a support ticket on our ticketing system – https://smartwpress.ticksy.com/ – and we’ll help you.